Water for Empowerment is a 501 (c) 3 charity that strives to create sustainable communities built on clean water and sanitation. 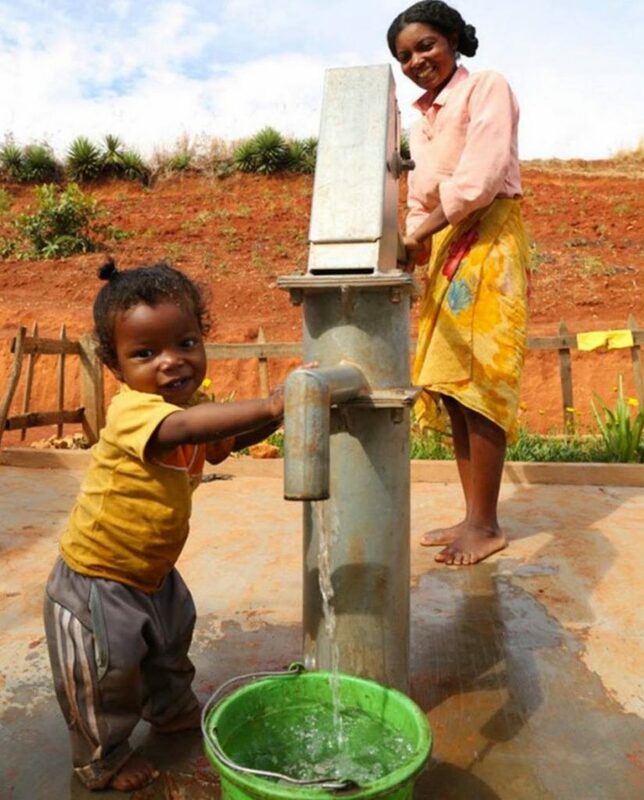 The effects of clean water and sanitation stretch far beyond health and sanitation benefits. Fewer children will die, more people will eat and fewer women and girls will be enslaved in the human trafficking industry. Girls in developing nations are responsible for obtaining water, which keeps them out of school and puts them in dangerous situations on a daily basis. Water for Empowerment believes that by providing girls in developing nations with access to clean water, they are protected from being abducted or sold into the human trafficking industry, an exponentially larger slave trade occurring today than at any previous time in human history. The power of clean water to heal such human conditions occurs when girls are able to attend school rather than walk miles in unprotected areas for water or to find remote places in order to urinate/defecate or menstruate. Water for Empowerment also believes that by educating girls with water sciences, teaching them to maintain water from becoming contaminated by water born pathogens, how to drill and repair wells, to build latrines and teach others about hygiene, girls have the ability to transform not only their own lives, but that of their families and communities. When girls have the power to elevate the level of hygiene, sanitation and sustainable farming in their own communities, they raise their own value for inclusion. They are no longer sold by families into human slavery, which can be disguised as domestic work in other countries or as marriages, when daughters are perceived as expendable or as commodities with a price tag. Life expectancy increases for entire communities when girls are able to grow up safely and childbearing women are healthy. Clean water holds the transformative power to reduce global death by starvation, dehydration, and water borne illnesses that contaminate food and animals. Water for Empowerment believes that the key to disrupting the poverty cycle is to empower girls and women to build healthy lives through clean water initiatives. Water for Empowerment currently has agreed to participate in a clean water project underway in northeastern Nicaragua. The project in Bili, Nicaragua and the surrounding communities is through a partnership with WaterAid America, an international organization with a similar mission to improve the lives of those in poor communities by increasing access to safe water, sanitation and hygiene. In this part of the world, tropical rains create an abundance of fresh water for much of the year. However, surface water bodies are often contaminated with agricultural fertilizers and pesticides, bacteria from cattle ranching operations and heavy metals from upgradient mining activities. The soil conditions in this area, which are comprised of laterite clays, create water filtration challenges during the rainy season and very low water yields during the dry season. WaterAid America, in concert with the Lazos de Aqua Program, is working to overcome these obstacles to fresh water access by creating rainwater storage catchments and drilling new water wells. In addition to the clean water initiative, WaterAid America is working with indigenous communities to improve sanitation practices. Through a process of awareness, education and by building latrines and hand washing stations, WaterAid America is working with local organizations to reduce transmitted diseases, improve public health, restrict open defecation and provide safer environments for women and girls. Water For Empowerment has agreed to a 3-year funding commitment for this project. 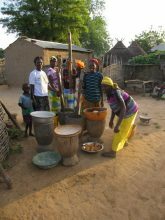 EnviroForensics is also supporting GSMalawi, which has teamed with Puralytics, a revolutionary water purification company, to advance a unique water supply project in Northern Malawi, Africa. Many regions in Malawi struggle with access to safe drinking water. Villagers in the peri-urban areas must boil untreated water from poorly maintained wells and boreholes. Boiling water kills disease-causing pathogens, but these villagers are running out of wood to boil water and households annually use more biomass than is available in the country. This project will supply 300 families in rural areas in Northern Malawi with a reusable device to purify drinking water. The project provides families with a cost effective means to purify drinking water using SolarBags®, decreasing household fuel costs, mitigating wood demand, and providing relief to the regional environment. The SolarBag® is a product manufactured by Puralytics, a US leader in water purification nanotechnology. The SolarBag® uses the sun’s energy, through nanotechnology to destroy harmful pathogens and organic chemical contaminants and the ceramic membrane within the SolarBag® is able to adsorb soluble heavy metals. Each SolarBag® purifies 3 liters of purified water in about 3 hours. It is reusable (500+ uses), recyclable and can remain effective a year or longer. With a well-established relationship between GSMalawi and the leaders of these communities, GSMalawi and Puralytics partnered in a highly successful 2013 Phase 1 lasting 6 months to supply selected households with one SolarBag® each. Grant funds for Phase 2 will provide two bags to 300 households for water purification. The use of individual SolarBags® is a bridge to the future goal of water treatment of untreated village water reservoirs, using the same technology. Another Puralytics product named LilyPad® can be used in reservoirs and rainwater catchments to purify large quantities of water with very little maintenance, creating a simple, affordable solution in a region that lacks revenue and infrastructure. The LilyPad® will be used for the first time in Phase 2 for experimental purposes with the anticipation of large water purification reservoirs in the future for these villages. GSMalawi and Puralytics were recognized for excellence in Phase 1 of this clean water project as Global Honor Awardee for Drinking Water Supply, Hardware Category of the 2013 International Water Association, Project Innovation Awards. Neighbor. The organization has been working since 1986 to educate and empower individuals by forming groups within their community that help them meet their personal needs as well as the needs of their family. 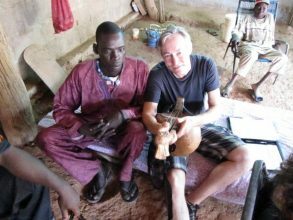 Water For Empowerment and EnviroForensics are working with International Medical Equipment Collaborative (IMEC) on several fronts. IMEC provides supplies for health care, agriculture and education projects in developing countries with the goal of alleviating poverty in these areas. IMEC is embarking on a mission called the Transforming Communities Initiative (TCI). The mission of the initiative is to transform impoverished communities through health, education and food. Not surprisingly, the role of women plays a critical part in the implementation and sustainability of this initiative. Women play the vital role as care giver in medical clinics, hospitals and in the home.Women comprise the majority of teachers throughout the world and in most communities, women are the farmers, planting and harvesting produce and grains and preparing that food for consumption. Fundamentally, clean water is the foundation for these pillars and it is this combination of uplifting women and providing clean water that makes the partnership between EnviroForensics, Water for Empowerment and IMEC so complimentary. TCI employs a multi-step process to assure a successful outcome for every community participating in the initiative. An organization is identified as a partner to implement the in-country responsibilities. 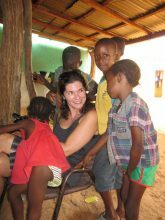 A TCI coordinator works closely with the partner to shepherd the project through completion. The partner selects established communities that provide healthcare, education and farming. TCI has a standard grouping of IMEC healthcare, educational and farming Suites for each community allowing transformation of a community in the three core services simultaneously. The logistic team arranges and tracks door-to-door shipping for the project. The partner arranges customs clearance and prepares the communities for delivery of the IMEC Suites. Each Suite contains all of the equipment, tools and supplies needed to operate a service or department, such as a hospital exam room, a small family farm, or a classroom. Water for Empowerment and EnviroForensics support IMEC in several ways. They provide environmental consulting services and funding for evaluating, testing and refining and developing water testing, water supply, water purification, water conveyance and water treatment systems that can be used in rural and peri-urban areas throughout the world. They are also evaluating a variety of different technologies that they hope can be used developing Water Suite for IMEC. These Water Suites will be designed to consist of the necessary equipment and supplies to address the clean water needs of families, communities and medical facilities, depending on the specific needs and hydrogeologic settings in which they are situated. 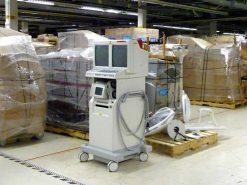 EnviroForensics provides further support to IMEC by serving as a regional collection hub for surplus equipment coming from medical facilities. EnviroForensics purchased a flat bed truck with a lift gate and will be traveling throughout central Indiana collecting surplus equipment from hospitals, medical facilities, doctor’s and dentist’s offices. 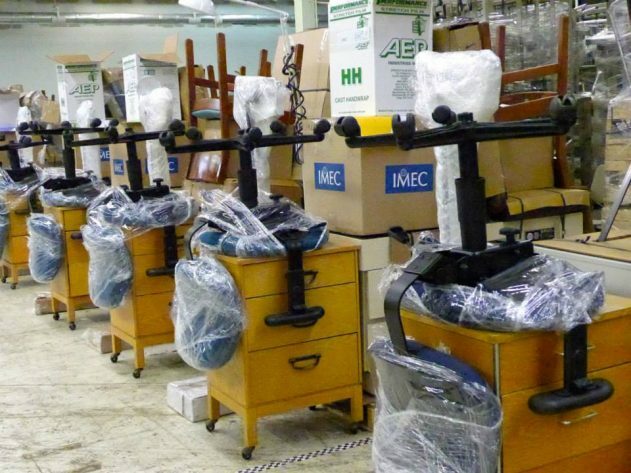 EnviroForensics will be serving as the local ambassador for IMEC in their outreach to procure surplus equipment and supplies, storing them in their warehouse before consolidating larger shipments to IMEC’s corporate headquarters in Massachusetts.